Each year VLIZ recruits several students working for us in the months of July, August or September. Interested student employees may send a CV, letter of motivation and preference for period and activity or division on 30 April 2019 at the latest. 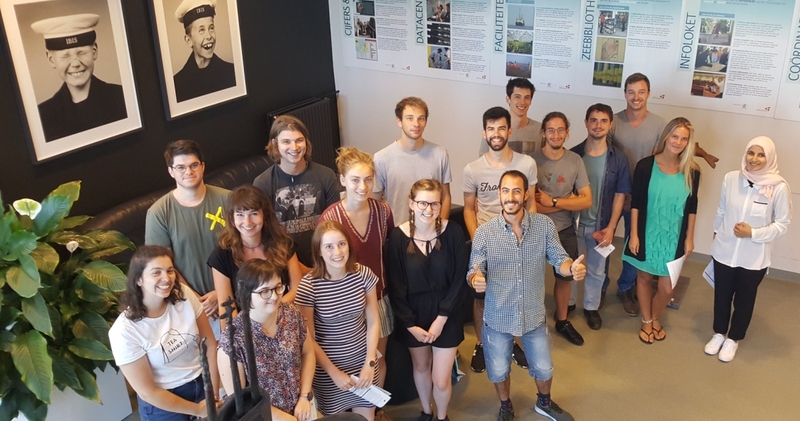 Several students have the opportunity of working at the Flanders Marine Institute (VLIZ) in summer 2018, for a period of one month in July, August or September. They will be involved in the diverse projects and new initiatives running at VLIZ. Candidates are offered pleasant working conditions and an appropriate salary. We ask for an open and dynamic attitude, as well as a high sense for quality. Knowledge of the sea and/or marine sciences or specific aspects of data management or communication are an asset. A certain preference goes to students following a marine training. Applications can be sent to Prof Dr Jan Mees, general director of the Flanders Marine Institute (VLIZ) via the e-mail: jobs@vliz.be.